We went for almost a year without having a reporting module in our app. Yet none of you complained, because we manually collated and sent out hand-crafted reports to you every two weeks. Once a fortnight, on a Friday - we chain Yee, our Head of Customer Success, to a chair in front of her laptop. She is given a glass of water, nothing more. She cannot partake in food, or go home, until she has finished slicing and dicing your data on Excel - in addition to formatting it into a beautiful Powerpoint deck. A couple of times, we will walk in on Monday; only to find her passed out from exhaustion / starvation. We administer some smelling salts, she wakes up, and continues to collate your reports. Somewhere along the way, we realise we may have fallen afoul of some human rights violations. An emergency meeting was convened - and the engineering team decided to build an interactive reporting module into the app. Now, I'm proud to say Saleswhale is a (slightly) more humane place to work at again. I'm waiting for the Nobel Peace Prize to come in through the mail any day now. 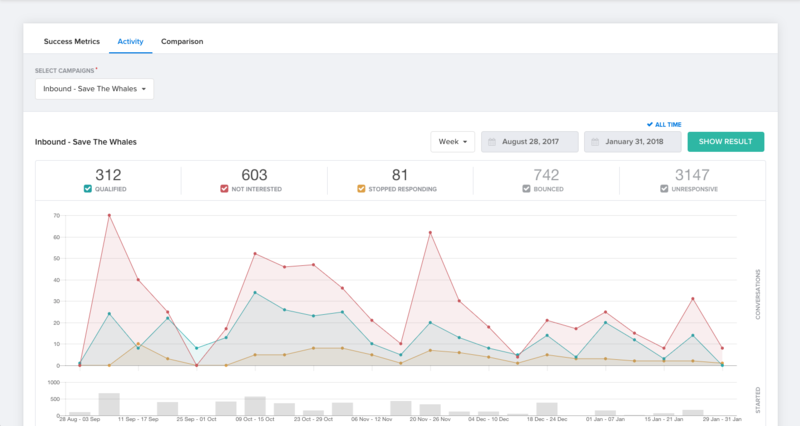 Without further ado, here are the three reports we launched - Comparision, Success Metrics and Activity. A common request we get from marketing teams is - how do I analyze the engagement of leads from different lead sources? Leads from the financial industry are 5.7x more likely to engage and 4x more likely to convert than those from healthcare industry. You can use this as a proxy to measure quality of leads from your various marketing channels. These data points can help you decide which marketing channels to double down on, and which to scale back on. 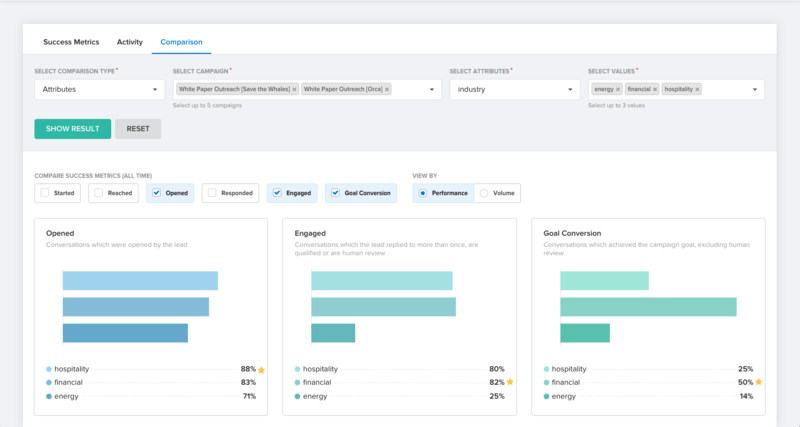 Comparison gives you granular insight into your campaigns' performance, allowing you to better optimise your Topics and maximise your marketing investments and resources. 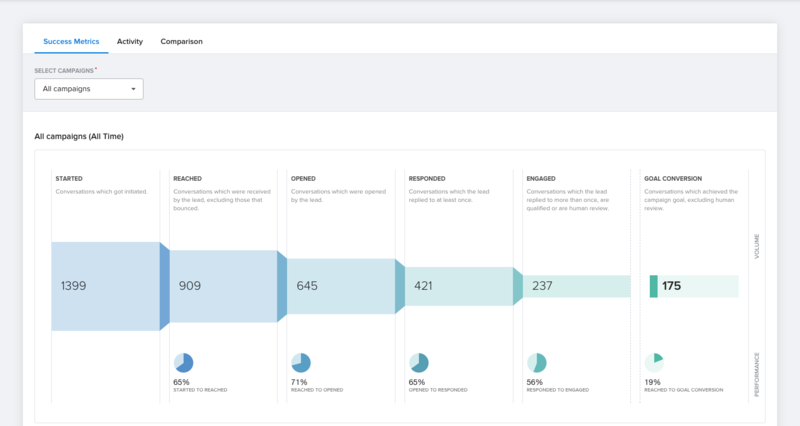 Now, you can visualise the top, middle and bottom of your campaign funnel, and quickly diagnose where highest drop-offs occur. Our customer success team will continue to give you conversation topic advice to optimise your campaigns, based on your success metrics. Visualize your Saleswhale activity over a defined period of time or across all time. By interpreting the trend line of new leads being enrolled, you can better understand how your bot's engagement is evolving with each new batch enrolled. This concludes the first phase for our Reports module. Next up, will be predictive and actionable insights you can take to improve your campaigns. Stay tuned! If this is your first time here, click here to find out more about what Saleswhale is about, and request a demo today! 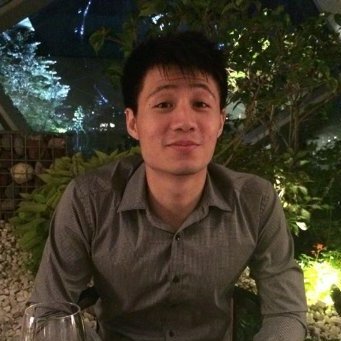 Co-founder & CEO at Saleswhale, Inc.